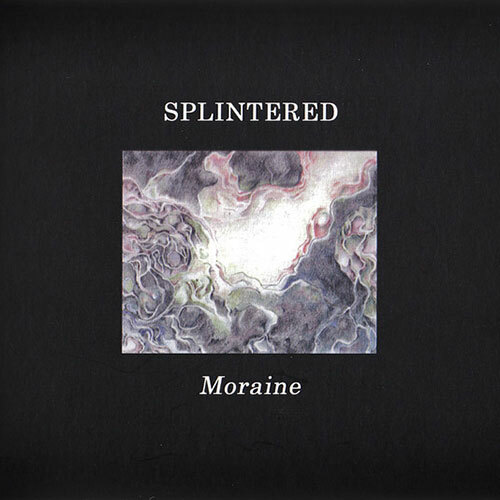 Remastered reissue of Splintered's "Moraine", originally issued on vinyl only in 1997 by Germany's Suggestion and No Risk No Fun labels. Two lengthy tracks comprising piano, found sounds, loops, wild sax, electronics, and suchlike, besides the full-on and blissed-out psychedelic-noise the group were renowned for. The first piece also includes sounds recorded by Jim O'Rourke for a limited edition DAT release on Soleilmoon intended for other artists to use. Who knows if anybody else ever sourced this, but Splintered duly rose to the bait and may well be the only group who ever made use of this DAT (itself called "Use"). This remastered reissue also includes new, exclusive bonus material by Siôn Orgon, Stuart Theme, and Steve Pittis/Band Of Pain, helping to bring a fresh slant to the music which itself already sounds timeless.